I love QQ food. I love Q food too. Many people do not like Q food. It is somewhat alien to the palate of the eater exposed solely to the foodways of the middle-class United States. I’ve found a recipe for a Q food served at the Winter Solstice way over on the other side of the world. Tang Yuen. It looks delicious. Yay, tang yuen! It is a few days past the Winter Solstice, but better late than never. Perhaps this will be the start of a new tradition – our own post-Christmas Tang Yuen party! Note: The article in Gastronomica on Q is downloadable as a PDF file. It is titled ‘Taste’ by Zoe Tribur and is definitely worth reading, for any gastro of any astral sphere. Can You, Cantu – Levitate Some Salt, U? The November/December print issue of Mental Floss puts Homaro Cantu of Moto on its list of ‘The New Einsteins – 9 Geniuses’. philosophy on food for yourself but merely heard bits and pieces you can find the whole at elbulli.com (which is quite an enterprise of a site with a serious corporate air about it). 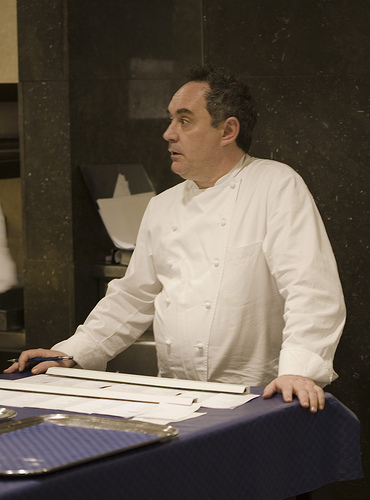 It is titled ‘Synthesis of elBulli cuisine’. Eck eck eck. You’ll have to forgive these little noises that come deep from my throat so lovingly as I report on this topic, dolls. We’re talking squirrel here, and that makes me purr. To squirrels, and to Me. Emily has a way of understanding things, a way quite cattish! Prrrrrp. Did celebrity chefs invent dining upon squirrels in one of their wild fits of adorable creativity that make us gasp and purr? Unfortunately, no. The word itself, so lovely, sounding like my rough tongue rolling along its fur, comes from the Greeks. The Ancient ones. They gave it the name “skiouros” which means shadow-tail, for they believed the squirrels’ tail was made to wrap around the little guys, keeping them protected from the sun. The Ancient Greeks may have been a little nutty but at least they were also poetic. Eck eck eck. Back to the eating, please. A short history of this delightful taste-treat includes Brunswick Stew, native to Brunswick County Virginia, where the usual native American succotash was expanded to include little bites of squirrel meat, along with tomatoes. For some strange reason, Brunswick Stew never really took off to become popular anywhere except where there was not much else to eat. That’s okay. More for me. Meow. Squirrel is on the menu at St John, a restaurant near London’s Smithfield market, and it’s delicious – like tender wild rabbit, braised with bacon and dried porcini mushrooms, musky flavours to echo its woodland habitat. But some might prefer to steer clear – because it borders on taboo. TV chef Jamie Oliver should encourage schoolchildren to eat grey squirrels in an effort to save the endangered red species, a Conservative peer says.Lord Inglewood said greys had to be culled to ensure reds – native to the UK – did not die out. “I must confess that I have never actually eaten a grey squirrel… but I am prepared to give it a go,” he said. Eck eck eck! Eck! Lord Inglewood you have my full attention! This year the passion for squirrel is growing. The May 11 edition of The Independent says that tree-huggers love the idea of squirrel. And why not?! And then, dear ones, we get to those celebrity chefs! A glut of back-to-the-wild TV programmes featuring celebrity chefs such as Hugh Fearnley-Whittingstall has also tickled the public’s palate, but squirrel is still unlikely to be found in the family fridge. The Observer’s restaurant critic, Jay Rayner, said he had never tasted squirrel, but if he did have it for dinner ‘it would have to be a big, fat country squirrel and not one of the mangy urban ones you see in cities’. The very same day, metro.co.uk gets down with the rodent even more! Keith Viner, former chef of Michelin-starred Pennypots in Cornwall, said: ‘Southern-fried squirrel is good. And tandoori style works. I would love a Cornish squirrel pasty. Buttery, flaky, squirrely goodness! And no bones to choke on! That’s the report from Catty Corner, dolls. I must continue with my yoga. 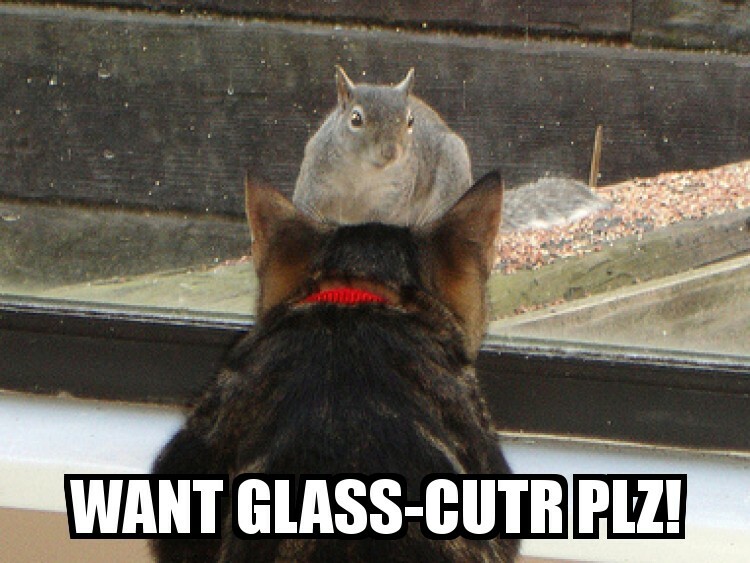 If you have any ideas or recipes for squirrel you’d like to share with me, please purr please do! Eck eck.